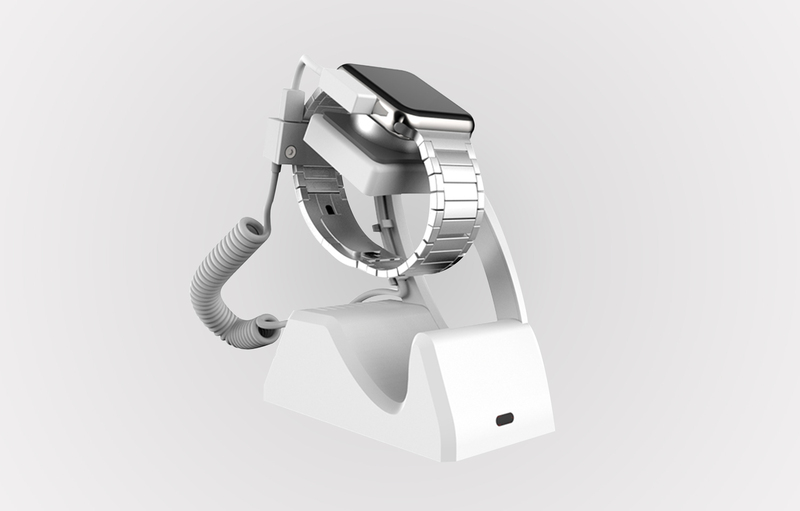 The SW1 is a standalone protection unit for Smartwatches. It allows full interaction for customers on a neat modern display while being safe in the knowledge of being secure. Our unique tab technology for the face of the watch has been incorporated to allow freedom for the customer and to not interfere with their experience. The SW1 also protects the products own charging unit meaning the Smartwatch is constantly charged. Operated by our remote control makes this easy to install, easy to use and perfect for your Smartwatch display.